If you’re in the market for a car GPS unit, there are a lot of important factors to consider. Built-in GPS units are convenient, but portable GPS units are more practical for anyone whose car didn't come with built-in GPS. There are also dozens of different features to look at, and an enormous gulf, in terms of price, between the cheapest and most expensive GPS units. Unless money is no object, it’s a good idea to start off by setting a general price range. If you’re looking to spend less than a hundred dollars, you’re probably going to have to settle for a small screen and scrimp a little on the features. You can also look for a bargain on an older model, but make sure that you don’t end up with outdated maps that are either costly or impossible to update. Your budget will also inform your decision to go for an integrated unit or a standalone device. Head units that include built-in GPS navigation are typically quite expensive, so you may want to steer away from them unless your existing head unit is begging for an upgrade. In that case, there are some head units that include integrated GPS navigation that can boast some pretty impressive features. Many OEM infotainment systems come with integrated GPS navigation, but it’s also an option in some higher end aftermarket head units. While these in-dash GPS navigation units tend to be quite expensive, they’re also pretty slick. If you’re opposed to sticking a blocky device to your dash or windshield, but you aren't ready to buy a brand new car, then upgrading your radio to a navigation head unit could be a good way to go. Some of these head units that include built-in navigation are also full-fledged carputers, so that’s something else to keep in mind. There are a lot of factors to consider when comparing in-dash head units to standalone GPS devices. These GPS units are typically the less expensive option, but that doesn’t mean they’re all cheap. Standalone units span the full range of sub-$100 budget models to feature-packed units that commonly have price tags of over $300. Other than price, the main benefit of standalone GPS devices is portability. Since they aren’t built into the dash of any one vehicle, you have the option of using one device in more than one vehicle. This is even easier if you pick up an extra mount and power supply. Screen size and resolution - Larger screens are easier to see at a glance, which is important since you don't have to take your eyes off the road too much. Resolution is also important since low-resolution images can be tough to read at a distance. Type of receiver - This isn't an exciting feature, but the overall quality of a GPS unit is highly depended on how well its receiver works. If a GPS unit has poor sensitivity, it won't accurately show the position of your vehicle on the road. Audible directions - Spoken directions, or text-to-speech, is tremendously important from a safety perspective. Most GPS units offer this, but some are difficult to understand. You absolutely want to be able to understand your GPS unit from a safety perspective. Automatic routing - Automatic routing is a feature that automatically recalculates your route if you deviate from it. This is extremely important since reality includes things like accidents and construction that you may need to drive around. Screen size and resolution are typically tied very closely to price. Budget models tend to have smaller screens with lower resolutions, and you can expect to pay a lot more for units that come with big, detailed touchscreens. If you’re not familiar with GPS screen sizes, you may want to check out a few in person before you buy. In order to determine whether a screen is big enough, you can stand back a few feet and try glancing at it. If you have trouble making it out, then you might want to step up to a larger screen. As far as receivers go, some are more sensitive than others. GPS units that have low sensitivity receivers fall into the budget category, but not every budget model has a poor receiver. If you want to make sure that your GPS unit actually knows what road you’re on, look for a unit that has a high sensitivity receiver. And while most car GPS devices include audible directions, they aren’t all created equal. Some units include text-to-speech technology that allows them to read out actual street names, which can come in handy when you’re driving in an unfamiliar area. Other devices are nearly unintelligible, so it’s vital to take the quality of the audible directions into account when shopping for a car GPS unit. Traffic - Some GPS units and apps are capable of displaying traffic data, which can help you gets where you're going without getting stuck in traffic jams. Lane assist - This feature shows some type of infographic every time you approach an exit or interchange on a freeway. This is tremendously useful when driving in an unfamiliar area since it can help you avoid dangerously late lane changes. Voice input - Some GPS units and apps allow you to set your route, and make alterations, with voice commands. This is useful if you don't have a co-pilot and need to make changes to your route on the fly. 3D map view - This feature allows you to view a 3D map of the area, which can help you orientate yourself in an unfamiliar area. Points of interest - This is useful on road trips, and when driving in unfamiliar areas, since it can help you locate gas stations, motels, restaurants, rest stops, parks, and other local businesses and landmarks. Built-in MP3 player - Plays your digital music files either through a built-in speaker, or a wired or wireless connection to your car audio system. Digital picture viewer - Usually allows you to view images, and sometimes videos, by inserting a memory car. Hands-free calling - Usually ties into your phone, and sometimes your car audio system, to provide hands-free calling. While these features may be useful in limited circumstances, they’re mainly useless fluff. Rather than looking for a Swiss army knife that can do a lot of unrelated stuff, it’s a much better idea to zero in on a device that does one thing really well. Before you buy a car GPS unit, you should also look into availibitlity and timeliness of map updates. This is especially important if you’re buying a discounted unit that’s a little long in the tooth. 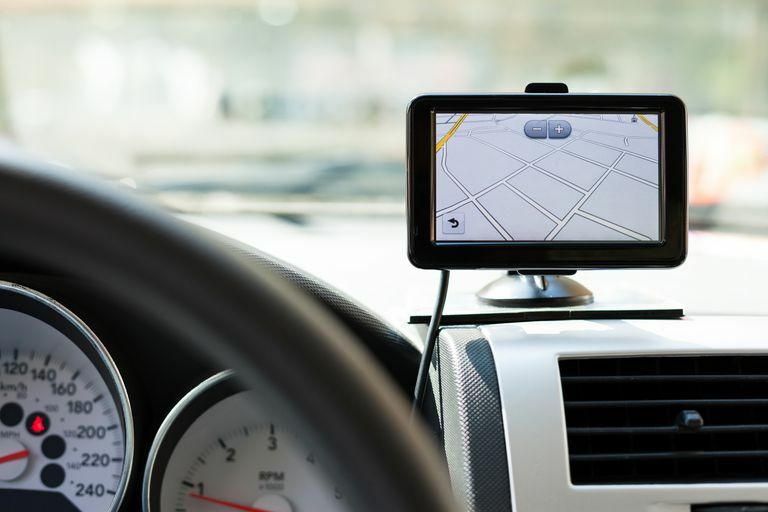 While it’s possible to find some incredible deals by shopping for old stock and factory refurbished car GPS units, it’s vital to make sure that you don’t get stuck with old map data. If the map updates are expensive — or the company isn’t putting out updates anymore — it might be wise to take a pass. Smartphone - If you own a modern smartphone, there's a good chance that you can use it as a portable GPS unit. There are benefits and drawbacks to this, but both Android and Apple include in-car options that make it easier to use your phone for GPS navigation. Tablet - Tablets make better GPS units because they have larger screens than phones, but not all tablets have built-in GPS functionality. If your tablet doesn't have GPS, you may be able to buy a dongle that adds a GPS receiver. Carputer - If you build your own carputer, adding GPS functionality is pretty trivial compared to the overall amount of work required for this type of project. GPS-enabled feature phone - Some cheap feature phones include GPS functionality, but it's typically much more limited than you get from smartphones. If you already have any of those devices, you might want to check into the navigation options before dropping any money on a new car GPS unit. Most smartphones come with built-in GPS navigation, and some cheap feature phones even offer some type of GPS functionality. Tablets and carputers can do an even better job of replacing a standalone car GPS unit. And while your multimedia non-smartphone might not be a great choice for heavy usage, it may do the trick in a pinch.